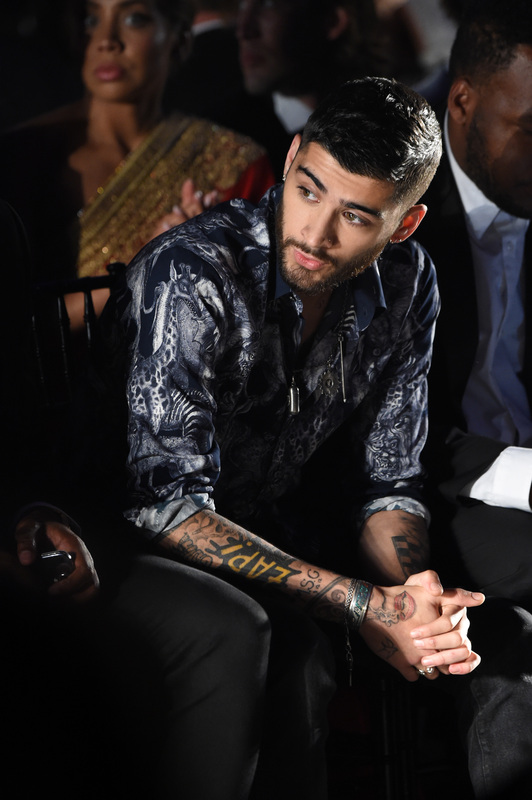 Zayn Malik, you overachiever, you. First you release your much anticipated solo album, Mind of Mind, then, only four months later, you come out with two new songs. The Ghostbusters soundtrack tune, "wHo", and the mid-tempo ballad, "Cruel." The latter — a collaboration with the British production duo, Snakehips — is classic Zayn. (Yes, there's already such a thing.) An emotional, brooding, electro-pop beat with R&B influences and slow-burning vocals. It's the lyrics for Zayn's "Cruel," however, that paint a more personal picture than anything Mind of Mine gave us. Though the tracks on Mind of Mine were a peek into the mind of the artist, they didn't delve into the one thing Zayn's been candid about since the album's release — his struggle with anxiety. In June, Zayn canceled a scheduled performance at the Summertime Ball in London. He issued a statement on social media regarding the decision, stating "Unfortunately my anxiety that has haunted me throughout the last few months around live performances has gotten the better of me" adding "with the magnitude of the event, I have suffered the worst anxiety of my career." Did this struggle spark creative insight? "Cruel" follows Zayn's distress and disillusionment with the world, but it's not all bad news. He's enchanted by a certain "Venus in Converse" that helps guide him through the bleakness. Considering Zayn's personal life (or what we know of it), "Cruel" seems to be his most intimate tune yet — in more ways than one. It's true. In all the bitterness, there's a certain famous model who stays pretty sweet. In June, right after Zayn announced his canceled show, Gigi Hadid posted a supportive and sentimental response, to her own Twitter. She wrote, "I've seen the battles you go through and the way you fight to get to a place that allows you to get up there for your fans," and "We are all here to support you and make each experience easier. Your talent and good heart will never lead you wrong. Love you and so proud of you always." Despite all the rumors of Zayn and Hadid breaking up, or whether or not they did actually break up, they seem good now. Even in this, yup, cruel, cruel world. "Venus in Converse" might be the most fitting way to describe Hadid, but who is the dead eyed actress girl? Maybe it doesn't matter. All that matters is that despite the rocky summer — and the cruel world — it's just the two of them now, locked inside the bathroom together. Sounds like there's nowhere Zayn would rather be, and I don't think we can blame him for that.